Liputan6 (Indonesia) also opens an article with an alleged Brontë quote: the infamous "Crying does not indicate that you are weak. Since birth, it has always been a sign that you are alive". The problem is that this is not by Charlotte or any other Brontë. El Diario Vasco (in Spanish) presents Con Voz Propia. 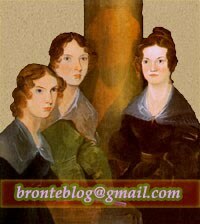 Las Colaboraciones en Prensa de Carmen Baroja which includes an article about the Brontës: Triste historia de tres hermanas pobres: las hermanas Brontë. Before I Kick reviews Jane Eyre.